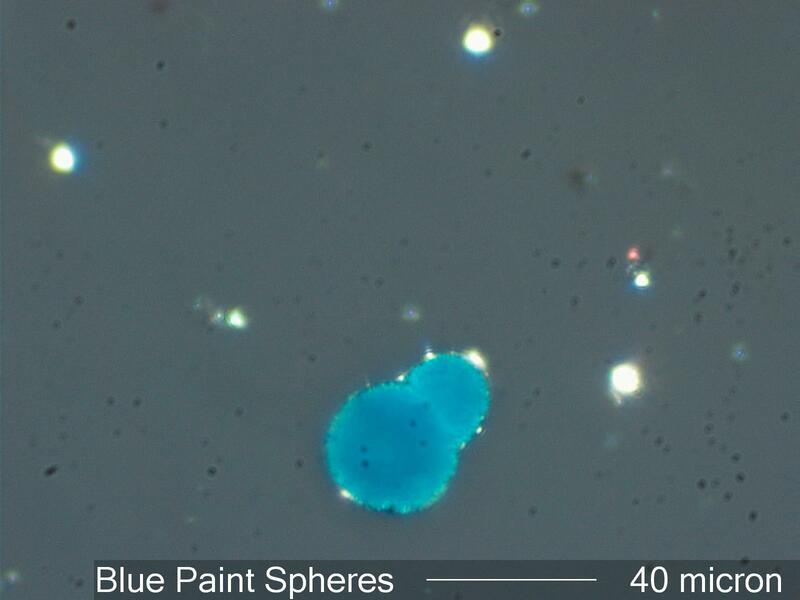 The paint spheres in this image are blue. There are two paint spheres stuck together in this image. The transpartent vehicle is easily seen at the edges of the spheres. The pigment and the rutile opacifier are submicrometer in diameter and are difficult to see. This particle looks dark except at the edges of the particle when only transmitted light is used.